Mortaza is the best fast-medium bowler and Parliament Member of Bangladesh. He is a player who has come from the root level of the countryside by selecting of Grameen phone. 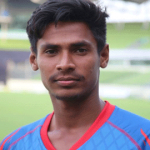 He emerged as a most successful pace blower in Bangladesh although he is the most sufferer player from injury in Bangladesh Team. 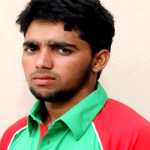 Mortaza made his debut in ODI cricket on 23 November 2001 and Test cricket on 8 November 2001 against Zimbabwe. He was captain in one Test and seven One-Day Internationals (ODIs) between 2009 and 2010, later he was bound to leave captaincy for injury. In his absence, Shakib Al Hasan became the captain of Bangladesh team. Undoubtedly, he is the best pace bowler in the country and for his magnificent performance, he is called ‘’Narail Express’’. Very often he tremendously played well in batting in the international cricket, for this reason, he is also called All-rounder. He is regarded as the most popular player in the country. 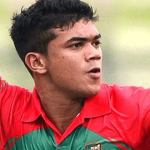 He showed his brilliant performance as a captain of the Dhaka Gladiators in the BPL (Bangladesh Premier League). He is the winning captain of BPL for the first and second competition. 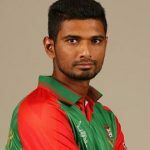 Still, he is the key player of Bangladesh Cricket Team, he is the person, who’s captaincy is praised around the cricket world and his leading happily followed by the other players. Mashrafe Mortaza is the captain of Comilla Victorians and won the first trophy for the team in the BPL in 2015. He is also chosen as the captain of the team for season 2016. A fan named Mehedi Hasan entered into the field during the 3rd ODI running match against Afghanistan on October 1, 2016, in Mirpur. 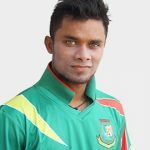 He hugs the favorite player Mashrafe Mortaza during the running match that was a stunning fact to viewers of the game. 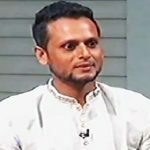 Mashrafe requested the security not give him any punishment. It was a huge security concern prior to the England series where they afraid to come in Bangladesh. Then the fan sends to Mirpur Model Thana, after two days Mehedi with three friends released by a condition. Bangladesh, Asia XI, Khulna Division, Kolkata Knight Riders, and Dhaka Gladiators. Mashrafe announced his retirement from twenty20 internationals during the first twenty20 game against Sri Lanka on 4 April 2017 among two matches second match will be last in an international twenty20 career. I would like to humble requested you to please give me an appointment with you. In Bangladesh 16 crore peoples I am one of them. I have needed to meet with you for personal meeting. I am eagerly waiting for your kind consideration please.